In 2003 LucasArts released the video game Star Wars: Knights of the Old Republic (KotOR). People are still talking about (and playing) KotOR over 15 years later. 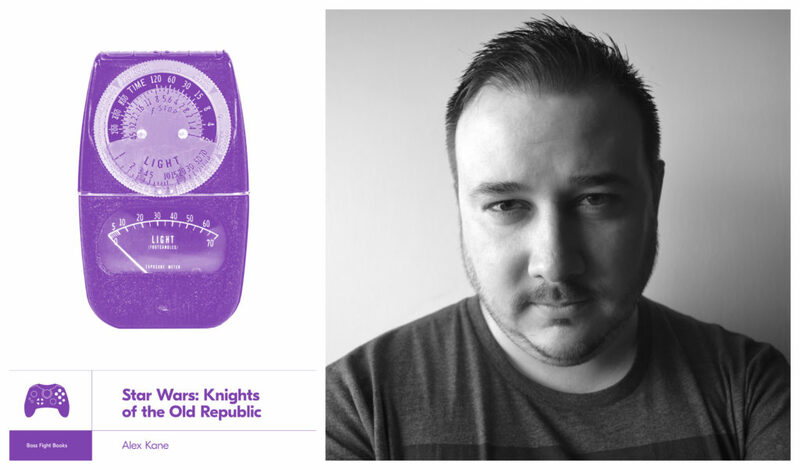 Alex Kane’s new book about the making of KotOR – Star Wars: Knights of the Old Republic is coming out April 9th. Kane answered a few questions via email for 365 Star Wars about his process writing the book and the appeal of the game for Star Wars fans. 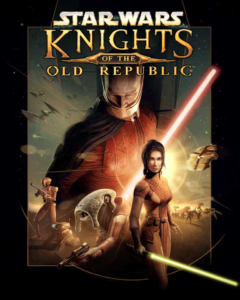 How would you describe Knights of the Old Republic (KotOR) to Star Wars fans who don’t play video games? Well, it’s gonna feel really familiar to people, first of all. If you’ve seen Rogue One or The Clone Wars or Rebels — and especially The Last Jedi — you’ve already got a taste of KotOR’s unique take on the Jedi and the Force. Because its influence is just everywhere. But it’s the first time that a video game let players role-play as their very own, completely original Jedi character. It’s a chance to experience the Star Wars universe firsthand, and make decisions that can affect the galaxy at large, and spend a dozen or so hours as a Jedi. Like Dragon Age or Mass Effect or Skyrim, it’s basically a D&D simulator. Only it’s set in the Star Wars universe — 4,000 years before Episode III. When did you first play KotOR? What were your first impressions of it? I played it the week it came out, not really knowing what to expect except for the fact that the concept art was very different. Kind of weird and golden-agey. But it had Star Wars in the title, so that was all it took, right? It launched for the Xbox on July 15, 2003, and my birthday was six days later, so that ended up being my birthday present from my folks. They took me to a GameStop somewhere — we might’ve been on vacation — and then I just got lost in that game as soon as I popped it into the Xbox. There’s a moment in the game where the Jedi Council on Dantooine agrees to train you, and you get to build your very own lightsaber, and you sort of choose what kind of Jedi you want to be. The first time I did that was game over for me; I’ve always loved the unique fantasy that that Dantooine section gave me. What inspired you to pitch this making-of book to Boss Fight Books? Is the finished product close to what you pitched? Not even close. I first pitched Boss Fight in early 2015, actually, with a book on Halo 2. In October of the following year, I got a call from Gabe Durham, the editor, asking me if I still wanted to write a book for them. By then, I’d sent them a follow-up pitch during another open call for submissions, and Gabe asked me which book I’d rather write. Having seen The Force Awakens quite a few times, with all these comics and books coming out, and Rebels, and Rogue One, I thought Knights of the Old Republic was the stronger pitch. And the book itself changed radically over the course of the last couple years. Originally, I didn’t even consider the idea of a making-of book, or an oral history, in the vein of Rinzler’s Making of Star Wars trilogy. But once I started talking to people who worked on KotOR and reading things like The Art of The Last Jedi and The Disaster Artist, I gradually realized that the book I really wanted to write was about the story behind the game — the story nobody’s really told before. Early on, though, I threw away almost an entire draft of the book. Like 15,000 words. Who are some of the people you interviewed for this book? The first two people I talked to were Drew Karpyshyn, who was lead writer on the game as well as the author of the Legends-era Darth Bane trilogy, and then James Ohlen, the lead designer. At first, I thought maybe I’d just interview the two of them, and then the rest of the book would just be my thoughts on the game and its legacy or whatever. The third interview I did, with the game’s producer, Mike Gallo, completely changed my notion of what I wanted the book to be. So I basically tracked down anybody I thought would have interesting things to say about KotOR: Sam Witwer, Jennifer Hale, former LucasArts president Simon Jeffery, Haden Blackman, Battlefront II writer Walt Williams, concept-art lead John Gallagher, voice-over director Darragh O’Farrell, a cosplayer named Molly Chu. Then I ended up interviewing Mike Gallo a second time, actually, to flesh out his story a little more, and to corroborate as many of the various anecdotes as I could. You write a series on the official Star Wars site about replaying classic Star Wars video games and are a co-host of X-Wingin’ It, a podcast about video games. Did these experiences help you in writing this book? The book was already well underway when I started writing for StarWars.com, even though it doesn’t look anything like the manuscripts I was working on at that stage. But I’m sure my experience writing for the site, and some of the insights I gained through doing various interviews about Star Wars games, probably informed the book in ways I’m not super aware of. You know, it almost certainly helped. The podcast actually came about very recently. My co-host, Brock Wilbur, is also writing a book for Boss Fight that’s coming out soon after mine, so X-Wingin’ It was all his idea. I sort of get the impression he likes the games more than the movies, in some ways, and he’s also just very funny, and an all-around good person. We’ve had a lot of fun doing the show together, so I hope we keep it going for a while. Who is your favorite character from KotOR? Visually, in terms of going out and buying an action figure or something? Darth Revan. But as far as actual characters, vocal performance, and who these people are as heroes in that universe, Bastila Shan is definitely the most interesting and dynamic character in the game. She’s phenomenal. I think she’s still a fairly common sight in the world of Star Wars cosplay, and Jennifer Hale brought a ton of strength and vulnerability to that role at a time when video games didn’t really do that well with dramatic roles and subtlety. Back then, she was almost one of a kind. I always loved that she was a very gifted Jedi, but still had a lot to learn — like Anakin. A lot of fans like to compare Bastila to Rey, and I think that’s a really valid comparison to make, especially having seen The Last Jedi and the Force bond that happens with Kylo. That’s really all right out of KotOR, whether or not it’s intentional, and in the book I spend some time asking the creators what they think of things like Kylo’s mask and its similarities to Revan and so forth. I profiled several female characters as a part of 365 Days of Star Wars Women, including Mission Vao, Juhani, and of course Bastila Shan. I’m curious if you have recommendations of other characters from that game I should highlight. Or women who worked behind the scenes like Jennifer Hale and Cat Taber? KotOR was Cat Taber’s very first voice-over job, and I really wish I’d gotten ahold of her in time to include her story in the “VO” chapter. I’d love to hear more about her experience discovering the character of Mission, and I know it’s a fond memory for her that ultimately led to her work on The Clone Wars and tons of other projects. In the sequel, KotOR II, there’s a Shakespearean actress from London — Sara Kestelman — who plays Kreia. Somebody’s gotta track down Kestelman and ask her about recording Kreia; she’s one of the best-written characters in the history of gaming. She’s so good. 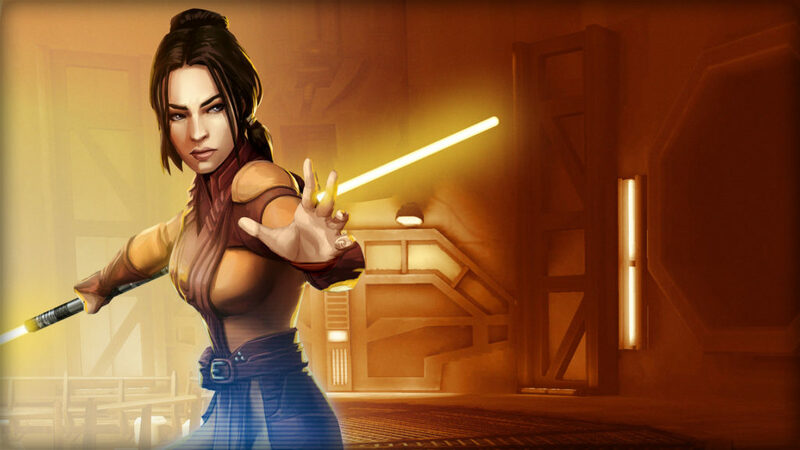 Bastila Shan from Galaxy of Heroes. Bastila Shan was a character people were asking about from the beginning of the 365 project. Why do you think that character has been so popular with Star Wars fans for so long? For a certain generation of Star Wars fan, provided they’re someone who plays games, Bastila is really one of the all-time greats. Her and Kyle Katarn, from the Jedi Knight series, are sort of in a league with Luke Skywalker in a lot of fans’ eyes. 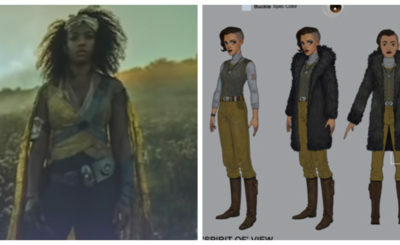 For younger fans, Rey is probably going to be the thing that leads them to Bastila. But there are a lot of us who have really grown up with this flawed Jedi, who has this incredible power known as battle meditation, and who is the biggest hero in KotOR’s story outside of the player. People who play the game have a real emotional connection to her. I thought one of the most interesting parts of the book was the section where BioWare was trying to figure out what time period the game would focus on, and how many BioWare employees were very familiar with existing Star Wars comics from the Old Republic era. How important do you think it was for the makers of this game to have been more than casual Star Wars fans? Back then, there was no Lucasfilm Story Group like there is today. You had a handful of people who were sort of walking Star Wars encyclopedias — people like Haden Blackman, Pablo Hidalgo, Leland Chee. At least two of them worked at LucasArts back in the day, and they excelled at the job because they were fans long before they were working for Lucas. I don’t think that kind of thing is as important today for a number of reasons, and I don’t think it ultimately had a huge effect on KotOR, but it certainly steered the direction of the project in the earliest design stages, beginning around 2000. There wouldn’t have been a KotOR if LucasArts hadn’t been run by Star Wars nerds who loved things like D&D and Baldur’s Gate. KotOR was a standout game in many ways for Star Wars and the gaming industry overall. You end up talking a lot about the history of games and game technology while discussing the making of KotOR. What are some of the interesting things you learned about the video-game industry while researching this book? Probably the biggest thing is just how much the industry has changed in the last sixteen years or so. A game like Knights of the Old Republic probably wouldn’t get made today, and that’s a frustrating thing for a lot of Star Wars fans who love those sort of casual, single-player RPGs. The people who made KotOR were young, many of them were inexperienced in a lot of ways, and their ideas were bold and exciting. It was a turning point for BioWare, and led straight into them making the Mass Effect trilogy. They were pushing the envelope, and LucasArts really helped them do that by giving them the budget necessary to make a genuine blockbuster. The original Xbox was sort of an underdog, but it was the most powerful console ever made, and it showed what console games could really do. KotOR will always be seen as sort of a landmark for video-game storytelling. There’s a great quote in the book, actually: “We can do that?” Talking about how the voice-over for all the characters might be handled. They were really shooting for the stars, and it paid off almost miraculously well. I think even Star Wars fans who aren’t gamers would enjoy the section about the voice-over work done for KotOR. The list of voice actors who worked on the game is incredibly impressive. What was your favorite part of that section of the book? I agree. I think the same can probably be said for the chapter before it, as well — “Analog,” which talks about the concept art and how a lot of these characters and worlds came to be. The entire voice-over chapter, though, only exists because I messaged Janina Gavankar, who played Iden in Battlefront II, to see if maybe she was a KotOR fan and wanted to talk to me about it for the book. Turns out, she hadn’t played the original KotOR yet, but she gave me a pair of phone numbers. One of which was Darragh O’Farrell’s. And the VO chapter is all Darragh, and he’s really one of the coolest people I’ve met from the Star Wars camp. What are some of your favorite video games — Star Wars and otherwise? In recent years, I’ve loved Night in the Woods, which is sort of this adorable socialist comic book in video-game form; Quantum Break, which is a crazy action game with time travel and lots of amazing story stuff you don’t usually see; Fallout 4, and especially its Far Harbor expansion. I play a lot of shooters and RPGs. Halo 2 is an old favorite, and Morrowind, and Super Mario 64. Are you excited about the upcoming video game Jedi: Fallen Order? Any specific hopes for that game? Oh, yeah. I’ve been lookin’ forward to that game since long before it was even announced, just because EA mentioned in a video that Respawn was working on something Star Wars. Anybody who’s played Titanfall or Apex knows that Respawn makes these incredible games; Titanfall 2 was one of the best games of the last decade. We know it’s set shortly after Revenge of the Sith, so I expect lots of tense Jedi action, with characters like the Inquisitors we saw in Rebels sort of on the hunt after Order 66. Should be a really exciting story. I’ve got high hopes for that one. What is your dream Star Wars video game? I’ve thought about this a lot, and of course the answer changes, but I’d definitely like to play as a Jedi of my own creation — online, with friends, on planets that feel alive the way they do in the films. I don’t know if the tech is quite where it needs to be to live up to the vision in my head, but something like The Elder Scrolls Online set in the Star Wars universe, maybe during The Clone Wars, with lots of storytelling and lightsaber combat. I think we might see my dream Star Wars game in about a decade or so. In the meantime, luckily, KotOR’s already pretty perfect. May 25 is the twenty-fifth anniversary of the Elder Scrolls series — you know, Skyrim and all that — so I’ve got something pretty big coming out that day. It’s almost as long as the KotOR book, I think, but it’ll all be online. RPG fans’ll enjoy that one. Where can people find this book and more information about you and your work? You can get the book on Boss Fight’s website, including a bundle with paperback and ebook versions for a single price, and it should be up on Amazon and most of the other big retailers any day now. And I mostly live on Twitter, at @alexjkane. You can find many entries from 365 Star Wars Women about KotOR including posts about Bastila Shan, Catherine Taber, Juhani, Mission Vao, and Jennifer Hale.